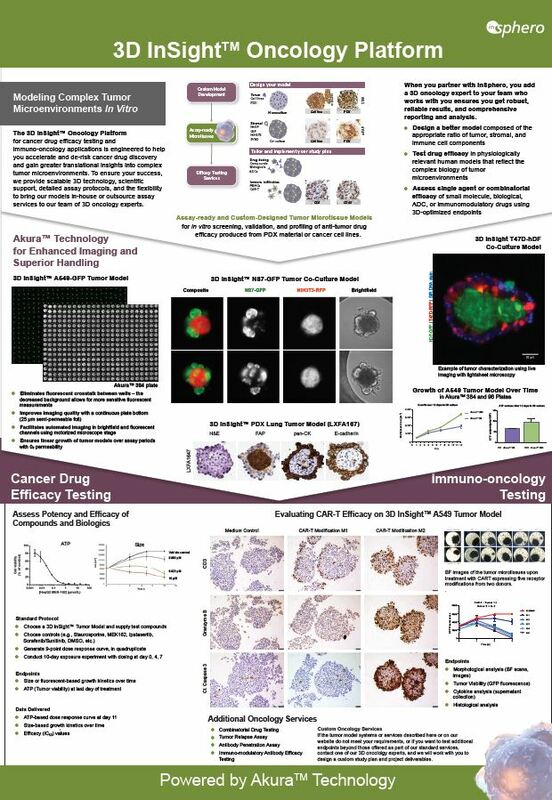 Test your compounds or biologics of interest to assess their potency (EC50) and efficacy (maximum response) on tumor microtissues using 3D-optimized biochemical (ATP) and phenotypic (size) endpoints. 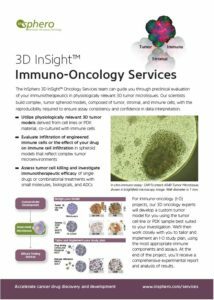 Evaluate anti-tumor efficacy in physiologically relevant 3D models. Receive ATP-based dose-response curve and dose-dependent size-based growth kinetics. 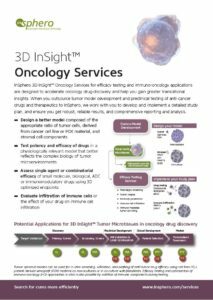 Leverage non-disruptive, continuous size assessment to monitor tumor response over time, preserving samples for optional customized endpoints. Potency and efficacy of the MEK inhibitor Binimetinib (MEK-162) in HepG2 spheroids. Download our brochure for details on the standard protocol.